Target your market! To get the best response from your email marketing strategy, be sure to segment your audience. In addition to separating potential buyers from those listing their homes for sale, group potential leads separately from valued customers, and then divide them based on certain characteristics, such as neighborhood interest and demographic, house type and requirements. You will want to gauge the types of leads who open your emails most, and automate your messages accordingly. Provide powerful intrigue in the subject line. Email subject lines are like first impressions. You need to take advantage of this short text opportunity to create intrigue for higher open rates, build trust with your readers, and be short and to the point. The subject line should be short enough to read on a mobile device, but long enough to convey the entire message. Turn your email into a valuable resource. Show off your industry prowess and share “insider” knowledge about highly desirable neighborhoods with potential homebuyers. Entice them with valuable information about the areas that interest them. Include news about upcoming community events, the job market, school district info, and city/town statistics. Visual Appeal. Your email marketing needs to reflect your real estate company’s image. Ensure that your company’s logo, colors, and fonts are incorporated. Email marketing is a good tool for reinforcing your brand. 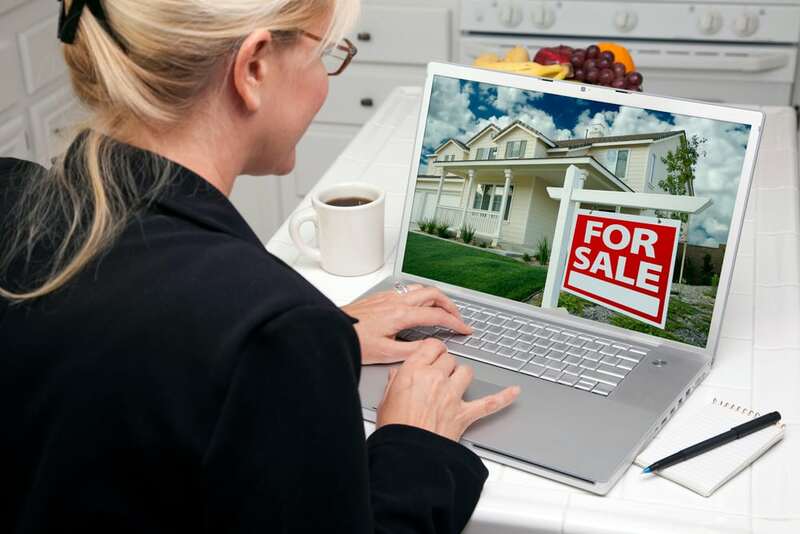 Include flattering photos of property listings relevant to the email message. Also, have a professional email signature that displays all methods of contacting you, including social media information and sharing buttons. Responsive Design. Your website and emails need to be designed for all devices and screen sizes, and be 100% responsive. Facts: 66% of emails are opened on a phone or tablet, and mobile traffic to websites accounts for almost 30% of visits. You cannot miss out on capturing on-the-go mobile readership. Focus on relationships. Personalize each email to include your recipients’ name. The use of people’s first names in a subject line and in the salutation makes them feel less like a number and more like a valued contact. It’s also good to maintain a relationship with customers after a purchase. Cultivating these relationships can lead to referrals for years to come! Utilize email marketing strategically. Create an email campaign to send an RSVP email for an open house, and pack the event with visitors. Build anticipation with an event page and invite. Create a dedicated landing page to highlight information about the event, and send your potential leads an email that links to the page where they can RSVP. Send special offers. What can you offer to prospects and past clients that they’d be interested in? Perhaps a free home value consultation, a market overview, or report of recent solds in their area? Periodically, send out an email with a special offer and instructions on how people can take advantage of it. Email offers are a great way to get some new leads and sales. Powerful Call to Action. A clear message needs to be present, with clear instructions at the end to tell recipients how to take advantage of the opportunities presented. If people have to second-guess what your email is about, your call to action lacks the enthusiasm it needs to be effective! Tracking and analysis. After putting forth this effort, you will want to know how effective it was. For Sale Marketing can assist you with tracking your campaign, providing you with access to critical information, such as the open rate, as well as the time recipients spent reading your email, the click through rate, and other email engagement metrics. For Sale Marketing offers professional email marketing services that include creative design, list management, and email deliverability. For more information about developing an effective email marketing strategy for your business call For Sale Marketing today at (954) 866 – 1133!